Over the years Stop the Incinerator has tried a number of ways to get their message across to the public and our elected representatives. Members of our group have risked arrest and public humiliation in their quest to spread the word. Sometimes it is hard to see what progress you are making, whilst at other times you know you’ve hit a nerve. Planned demonstrations have resulting in a meeting being cancelled at the last minute with us turning up to find only the police waiting for us, and indeed we have even had the police phone us up out of the blue to ask if we’d be attending a specific council meeting. It seems that our last demonstration has had an impact as the public will now be allowed to ask questions at the South London Waste Partnership Joint Committee meeting . To our knowledge the public have not previously been allowed to do so. 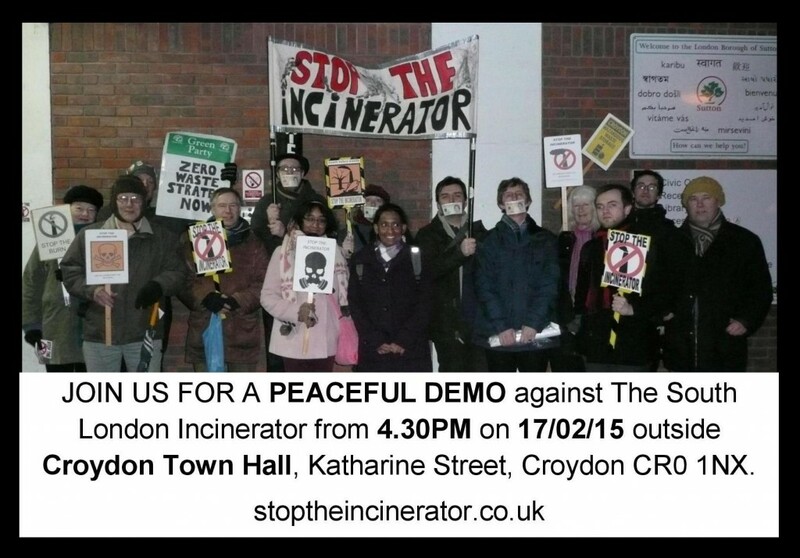 Join us for our demonstration at the next SLWP committee meeting on 17/02/15 and ask a question about the South London Incinerator – we will have questions available for you to ask if needed. However, the meeting is held at 5.30pm on a weekday which makes it difficult for most people to attend. Not only that, it is all but impossible to find out when or where the meetings are supposed to take place! Using “South London Waste Partnership Joint Committee” as the search words I have found NOTHING about when or where these meetings will be on the SLWP website, Sutton Website or Kingston Website. We have only been able to track it down because we have been contacting the committee directly requesting the opportunity to speak at their meeting. You can see the agenda of the next meeting here. Sadly, as is often the case with this committee, although they are discussing public services in a public meeting, half the points under discussion will be held behind closed doors. Which begs the question how can we hold them to account? You can see from this article at Inside Croydon, they are not impressed with the Labour council in Croydon who opposed the South London Incinerator, but now they are in power they have been completely ineffectual over this issue.